In late September 2016, a few days after Nikolas Cruz (Parkland, Florida shootout) turned 18 and became old enough to buy a gun, the Department of Children and Families sent one or more investigators to Cruz’s home. The Department had been alerted by posts on Snapchat where the young man talked crazily about cutting himself and asked for help in getting a gun. Unbelievably, in full knowledge of Cruz’s intention to buy a gun, and his inability to take responsibility for the use of even an air gun, the department found Cruz to be a “low risk” and closed his case within two months. Had Cruz been committed, under existing gun laws he would have become unable to legally buy a gun to carry out his murderous fantasies. Alternatively, if he had been carefully and safely removed from his psychiatric drugs while receiving good psychosocial therapy, his escalating violent impulses might have abated. Instead, he was left on his own to face the death of his mother and his expulsion from school, while his murderous impulses were fueled by drugs. What do we know about Cruz’s psychiatric treatment? This is an irony of tragic proportions. Cruz was left unsupervised and free to buy a gun because he was faithfully taking psychiatric drugs that can cause or aggravate violence. But do psychiatric drugs really cause violence? In the early 1990s, a federal court appointed me to be the scientific expert for all of the combined product liability cases that were brought against Eli Lilly throughout the country concerning Prozac-induced violence, suicide and crime. Since then I have been involved in many cases in which judges and juries, and even prosecuting attorneys, have determined that psychiatric drugs have caused or substantially contributed to violence. For a lengthy list, see the Legal Section on my website. In 2003/2004, I wrote a scientific review article about antidepressant-induced suicide, violence and mania which the FDA distributed to all its advisory committee members. This took place as the FDA Advisory Committee members prepared to review new warnings to be put in the Full Prescribing Information for all antidepressants. These adverse drug effects—including agitation, irritability, hostility, aggressiveness, akathisia, and impulsivity—are an obvious prescription for violence. Akathisia, which I also described in my article, is a psychomotor agitation that is strongly associated with violence. This list (above) of antidepressant adverse effects from the Medication Guide should make clear that antidepressants can cause violence. Emergence of New Psychotic or Manic Symptoms: Treatment emergent psychotic or manic symptoms, e.g., hallucinations, delusional thinking, or mania in children and adolescents without a prior history of psychotic illness or mania can be caused by stimulants at usual doses. One of the most convincing studies of medication-induced violence was based on reports of violence to the FDA over a several year period. When the number of prescriptions written for each drug was factored in, a small group of drugs accounted for almost all reports of violence. In the study of violence reports to the FDA, any predisposition toward violence in the patients themselves was largely ruled out because some of the most violence-inducing drugs were not psychiatric drugs, and were being given to a more general population. Some of the violence-inducing drugs were antibiotics, including Lariam (Mefloquine), which Sgt. Robert Bales was taking when he slaughtered 16 helpless, innocent villagers in Afghanistan. The amphetamines as a group (mostly used to treat ADHD) were third in order of frequency of violence reports per prescription. The amphetamines include drugs such as Adderall and Dexedrine (pure amphetamines) and amphetamine-like drugs based on methylphenidate, such as Ritalin, Focalin and Concerta. While amphetamines as a group were third in the list of most likely to induce violence, overall the antidepressants were the most common offenders, with Prozac, Paxil, and Effexor near the top. Cruz’s school counselor protested to the Department of Children and Families that they should re-examine their conclusion that he was a “low risk” for violence. Then in January 2017, two months after the agency had closed its investigation, the Broward County Public Schools disciplinary records indicate that the school referred Cruz to the Department of Children and Families for a “threat assessment” because of a long history of “fights with teachers” and “using profane language with school staff.” No other information was provided about the outcome of that referral. What was going on? When public agencies have difficult children and young adults to deal with, they automatically turn to psychiatric diagnosing and drugging. Previously concerned adult authorities then withdraw their concern and attention because the child is getting “psychiatric treatment.” Caring, empathic and effective psychosocial treatments fall by the wayside. Authorities do this without grasping that they are shoving the child under a suffocating chemical rug in the form of neurotoxins that blunt all emotions and stifle all behavior. Those dooming the children and youth to psychiatric oblivion probably do not know, as Bob Whitaker has shown in Anatomy of an Epidemic, that psychiatric drugs will diminish their competence and quality of life, while also raising the cost of their treatment and their disability payments. They do not foresee that the psychiatric strategy for treatment will sometimes lead to tragic outcomes like the school shootings. Nor do they realize that the overall evidence of harm from psychiatric drugs is infinitely greater than the evidence for good effects, as scientist Peter Gøtzsche has confirmed in Deadly Psychiatry and Organized Denial. During Cruz’s build up to the mass murders, his Snapchat remarks about cutting himself and wanting to get a gun were not the only red flags that he was dangerous. 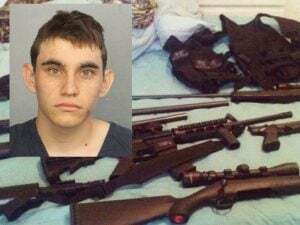 Among many other warning signs, he declared on social media that he wanted to become a “professional school shooter” and he told an acquaintance that he had bought a gun and was planning to shoot up the school within weeks before it happened. This was not mere bragging to bolster his ego. Cruz was intelligent enough to know that broadcasting his intention could lead to his being stopped. On some level of his disturbed mind, Cruz was begging to be stopped. Several people did in fact report him but to no avail. The second great, tragic irony is that Cruz desperately signaled his dangerousness but agencies as high up as the FBI saw and never responded to his conscious or unconscious pleas to be stopped. Calling for more spending on mental health and on psychiatry will make matters worse, probably causing many more shootings than it prevents. Not only do psychiatric drugs add to the risk of violence, but psychiatric treatment lulls the various authorities and the family into believing that the patient is now “under control” and “less of a risk.” Even the patient may think the drugs are helping, and continue to take them right up to the moment of violence. The belief in drugs is so prevailing that the authorities, in my forensic experience, will continue the offending drugs or even increase them in jail. Sometimes the perpetrator of the violence may begin to suspect the drugs contributed to his violence, but more often he is still hoping that they help and wants his medications continued in jail. We have seen that Nikolas Cruz was probably being treated with violence-inducing stimulants and/or antidepressants by a psychiatrist who was nonetheless aware of his violent tendencies and serious underlying threats. We have seen how his blatant threats were disregarded, probably on the grounds that he was already in the mental health system and receiving drugs. Psychiatry not only increases the risk of violence by giving violence-inducing drugs, but it lulls patients, families, professionals, schools and the public into an unrealistic and even disastrous sense of security. I have described dozens of such cases in my book, Medication Madness: the Role of Psychiatric Drugs in Cases of Violence, Suicide and Crime. 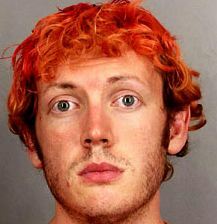 James Holmes, the Aurora Theater shooter, is an extreme example of the dangers of sending a violent person for psychiatric treatment. Holmes was in graduate school when he asked for psychiatric help. He told his psychiatrist he had such violent feelings that he dared not tell her all about them for fear that she would lock him up. What did Holmes’ psychiatrist do? On that same first visit where he warned about seriously violent feelings, she started him on the antidepressant Zoloft. Under the influence of the drug, he became grossly psychotic and began elaborating his plans and collecting weapons. Did Holmes’ psychiatrist need more training or awareness? No, she was especially trained in the prevention of campus school shootings and immediately contacted campus security, while starting him on Zoloft. Increased training under the current mental health system will only lead to even more drugging, because that is what my colleagues in psychiatry do—they drug nearly everyone they can get their hands on. To prevent or reduce school shootings, we need to stop relying on current mental health and psychiatric interventions to prevent mass violence. Psychiatric approaches do more harm than good. What More Can We Do to Prevent or Reduce School Shootings? School shootings have multiple causes. My focus in this report is on the role of psychiatric drugs because it receives so little attention, despite being one of the chief causes of mass violence. In keeping with my emphasis, for solutions I will focus again on my own area of knowledge: the provision of psychosocial and educational services to children, youth, and their caregivers or families. One of the first required steps is to force public disclosure of any and all drugs prescribed to violent perpetrators. We still do not know exactly what was prescribed to Cruz other than that he was treated for ADHD and depression. Family members have reported that he was taking psychiatric medications for depression around the time he assaulted his school, but we lack documentation for this. It took a legal action to force the corner in the Las Vegas mass murder case to make public what if any medications were identified in the perpetrator’s body. When it was reported that he had Valium in his body at the time of his death, it did not even get a ho-hum response from the press. Similarly, in 2013, when it was quickly discovered that the naval yard shooter had recently been started on the antidepressant trazodone at the VA, the news just as quickly disappeared from view. So it will not be enough to get the information we need; we will also have to work to draw attention to it. Despite how often threat reports are ignored, they are a frontline deterrent. We need to make it easier to report threats by young people by providing well-advertised state-wide designated online and telephone reporting sites, and by preparing and empowering state and local agencies to respond to these threats. Federal agencies should play little or no role in this strategy, which requires immediate local responsiveness. I have already emphasized the importance of no longer relying on the current mental health and psychiatric system to stop school shootings. However, even if school shootings were not such a huge problem, we still need to stop drugging our children and youth to control their feelings, thoughts and actions. Antidepressants, stimulants, benzodiazepines and all other brain-disabling, mind-altering drugs should not be used to control the minds or behaviors of young people. Children need more adult help, not more neurotoxic drugs. We must not let them to grow up with their brains and minds soaked in neurotoxins. We need to revamp the services we deliver in our schools and families to place more emphasis on educational and psychosocial approaches to healing distressed individuals and their families. The Department of Children and Families was sent to the Cruz household to investigate and not to help. It assumed that going to a mental health clinic and taking psychiatric drugs was a good idea that reduced his dangerousness. Cruz was then left largely on his own to deal with his mother’s death and expulsion from school. We need to focus services for young people on helping parents and children in conflict without resorting to demeaning psychiatric labels and toxic psychiatric drugs. A variety of relatively low-cost programs involving volunteers, coaches, and counselors provides the best model for help. To be most effective, we need a drug-free wraparound program with voluntary psychosocial interventions, including efforts to support and strengthen the family or care-taking unit. Wraparound treatment would be provided not only to the identified child or youth but to the entire family. The treatment team at various times would involve teachers, school counselors, individual and/or family therapy, and direct aid to struggling families. I describe these programs in Reclaiming Our Children, a book I wrote in response to the Columbine shootings. These approaches are much less costly than providing chronic, futile psychiatric treatment, and have a better chance of stopping a catastrophic spiral into mass murder. In the Cruz case, the school and its counselor, and many of the students, were alert to his dangerousness. Unfortunately, the dominance of drug-oriented psychiatry left no place to turn for effective help. Cruz was already being treated within a mental health clinic that provided individual treatment based on diagnoses and drugs. Instead we need psychosocial interventions, including empathic therapy, for individuals and their families. Good psychosocial and educational help for our distressed and potentially violent children and young adults, and their families, will remain unavailable as long as psychiatry dominates theory and practice. Reforms will never occur as long as prescribers are enabled to sicken young brains and minds with neurotoxic psychiatric drugs. 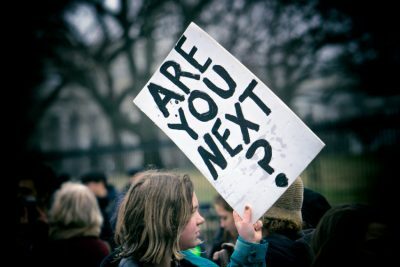 With biological psychiatry and the pharmaceutical industry continuing to determine the kind of mental health services that are delivered, school shootings will continue to grow in number and ferocity. Dr. Breggin has been called “The Conscience of Psychiatry” for his decades of successful efforts to reform the field. He criticizes psychiatric drugs and ECT, and promotes more caring, empathic and effective therapies. His newest book is Guilt, Shame and Anxiety: Understanding and Overcoming Negative Emotions.